In the wake of the shocking suicides of celebrities like Anthony Bourdain and Kate Spade comes word that suicide rates are rising across the US. According to new data from the CDC, suicide rates rose in every state except Nevada. And one of the states with the highest increase in suicide deaths is New Hampshire. According to the CDC, New Hampshire’s suicide rate jumped 48.3 percent from 1999 to 2016–the third-highest increase in the U.S. Suicide is the second leading cause of death for young people in New Hampshire and eighth overall. New Hampshire does have a State Suicide Prevention Council and a State Suicide Prevention Plan. However, it also has one of America’s worst opioid-abuse rates and this may be contributing to the spike in suicide deaths. Will suicide become the “opioid addiction” of the next political cycle? President Trump, who focused on the opioid epidemic before any other national politician during the 2016 campaign, has already begun talking about suicide–particularly among veterans. 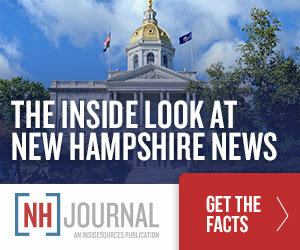 But the issue is rarely mentioned in either the the New Hampshire governor’s race or the campaigns for New Hampshire’s two congressional seats. That may all change soon.